The VTBox DNA 250C Box Mod is the power upgrade of the original DNA250 Color Chip, utilizing Evolv's most powerful chipset to date within a high-end ergonomic chassis design. Featuring a series of innovative functionality- Wattage Control, Temperature Protection, Replay, Preheat, and Onboard Programmable Multicoloured LED. 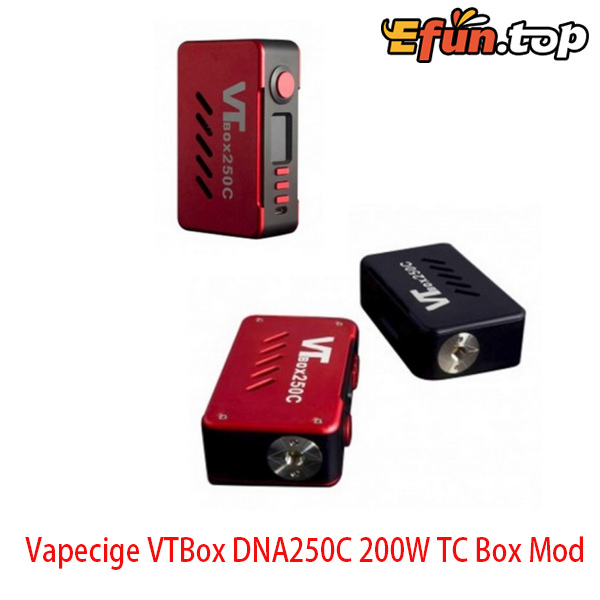 The VTBox DNA250C features an incredible 98% output efficiency range, tremendous range with a maximum wattage output of 200W, full temperature control, and coupled with Escribe software for the ultimate technology that combines efficiency and capability.